Bootleg Beatles plus the Small Fakers - SOLD OUT ! The Bootleg Beatles - SOLD OUT ! 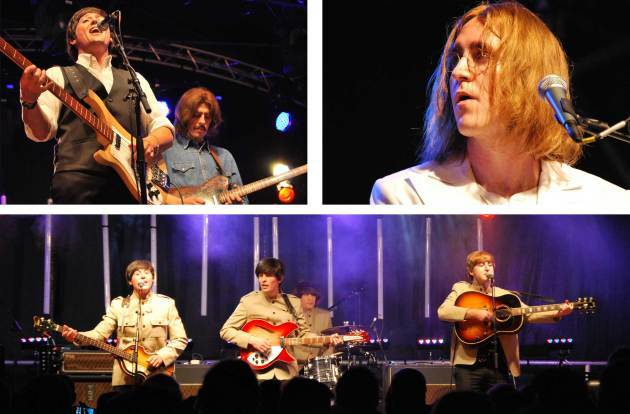 We welcome the world’s number one all-British Beatles band back to Hampton Pool. The Bootleg Beatles are an incredibly enduring band and have been on the same line-up at Oasis, Rod Stewart, Bon Jovi, David Bowie, The Corrs, Manic Street Preachers and Iggy Pop. 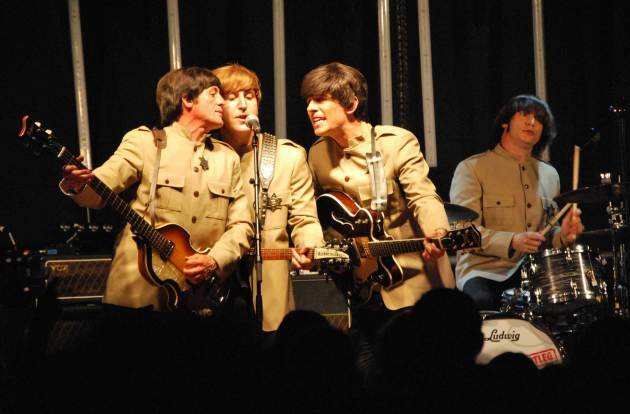 In this year’s show, they’ll include a celebration of the 50th anniversary of the Beatles’ album, Abbey Road. 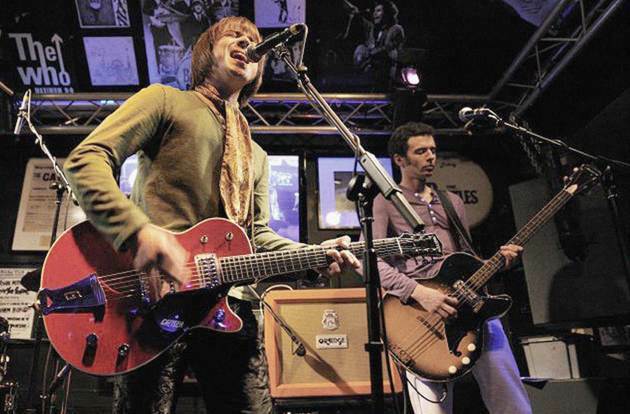 Small Fakers are the only tribute band to the legendary mod band, Small Faces. Hear fan favourites like All or Nothing, Itchycoo Park and Lazy Sunday given the respect they deserve by a band that truly embodies the spirit of the original Small Faces. 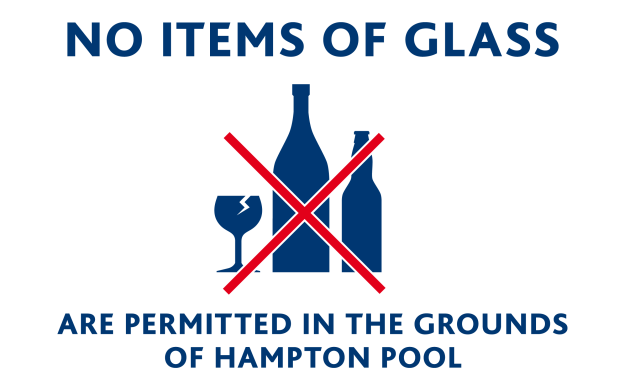 These are licensed premises and you are not allowed to bring your own alcohol* into Hampton Pool. As this is a swimming pool, sharp knives (including cheese knives), ceramics, glass and/or bottles are not allowed onto the premises under any circumstances. For your security, we will be conducting bag searches before entry. If driving, please park considerately. You may bring folding picnic chairs and tables, but not larger folding tables or non-folding furniture. You should not seek to create an ‘encampment’ in the middle of the body of the audience. NO SMOKING ALLOWED (including e-cigarettes/vaping). Ticket purchaser bears all risks of inclement weather. Refunds will only be given if the event is cancelled before the first performance starts due to adverse weather conditions. Any physical tickets purchased at Hampton Pool will need to be returned to the Pool within 28 days of the event date. No other refunds / exchanges will be given. Management reserves the right, without the refund of any portion of the ticket purchase price, to refuse admission or to eject any person who fails to comply with the rules of the venue and applicable laws. This ticket cannot be replaced if it is lost, stolen or destroyed and is valid only for the event for which it is issued. This ticket is not transferable or redeemable for cash. Reproduction of this ticket is not permitted. Ticket user consents to the use of his/her image or likeness, incidental to any video display, transmission or recording of the event by venue, artist or promoter. The use of cameras, video or audio recording equipment including smartphones is prohibited. Unauthorised or unlawful resale or attempted resale of tickets is grounds for seizure and cancellation without compensation. This ticket may not be used for advertising, promotion (including contests and sweepstakes) or other trade purposes without the express written consent of the venue. This ticket is a revocable license and admission may be refused upon refunding the face amount of the ticket. Gates may open up to 20 minutes before advertised starting time. *All sharp knives, items of glass or alcohol may be confiscated by our stewards.